Babywearing means changing the world, one baby at a time. AGOSSIE was born out of passion for babywearing and woven art. Wearing a baby is one of the most wonderful experiences of parenthood, a nurturing practice, one that nature intended for us and our children, and a vital contribution to a child’s emotional and social development. We would like to complement the truly magical experience of babywearing by giving you a feeling of timeless elegance and comfort. Our woven wraps are characterized by distinctive designs which will capture your imagination. We design our wraps with quality, appearance, and wrapping performance in mind. Therefore, we leave nothing to chance when selecting the finest yarns and we go through a rigorous process of prototyping and testing. Our wraps are manufactured with the utmost respect for people and the environment. We only source yarns from suppliers we trust and all of our yarns are proven to be safe. The entire production takes place in the Netherlands which allows us to meticulously control each step of the manufacturing process and ensure high social and environmental standards are met. We believe all elements of life should be in balance to bring you the feeling of ultimate happiness. 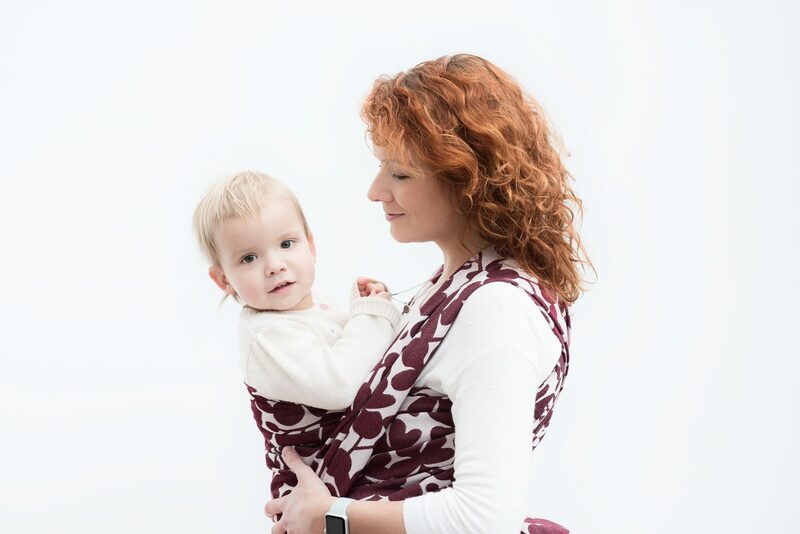 Our wraps are made to let you keep your baby close and enjoy a sense of freedom, well-being and elegance at the same time. We hope they will become your trusted companion on all your adventures and journeys.